Tight-fitting, overlapping lid helps contain odors. Made of tough, puncture resistant, all plastic construction, won't rust or chip. 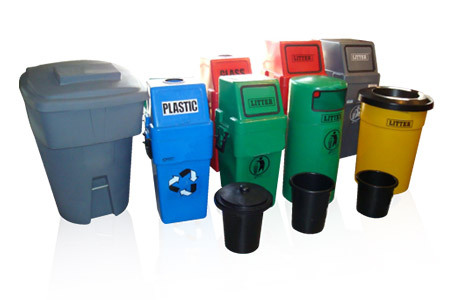 A waste handling workhorse in a wide range of sizes. Built-In handles for easy, non-slip lifting -- easy anti-jam nesting. 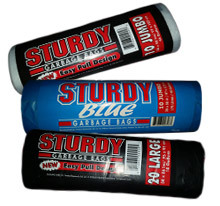 Full line of Bags, small, medium, large and jumbo in Blue, Clear or Black.